This picturesque valley in the Great Smoky Mountains is home to many historic buildings and the majestic elk. Hike, camp, picnic and explore the history of the valley. The best time to watch elk is in the evening during the last hour or so of daylight or the early morning right at sunrise. Watch elk from the roadside (do not approach them in the fields). Remember to keep your distance! 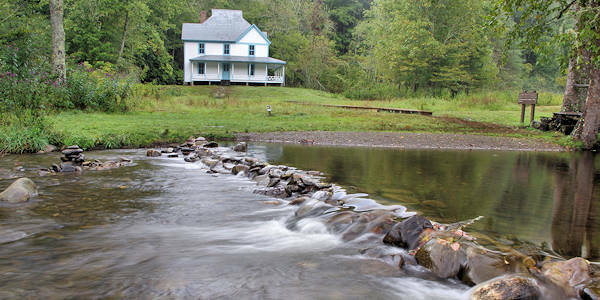 Cataloochee Valley is also home to nine historic buildings, including a school, church, barn and several homes. Five buildings are along the road in the valley. An additional four buildings can be reached via a hike down the Little Cataloochee Trail. The self-guiding Auto Tour Booklet (usually available roadside near entrance) provides brief histories of each structure. Our favorite picnic spot is the front porch of the Caldwell House built in 1909 (photo above). It's located near the end of the road past Palmer Chapel and Beech Cove School. Before the arrival of the Park in 1934, Cataloochee consisted of farmland maintained by a community of approximately 1,000 people. 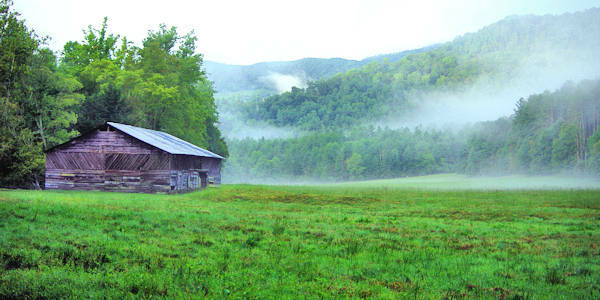 While few of the original structures remain, this is considered to be North Carolina’s "Cades Cove." The experimental release of elk into Great Smoky Mountains National Park began in February 2001 with the importation of 25 elk. In 2002, the park imported another 27 animals. All elk are radio collared and are monitored. By 2016, the number grew to almost 200. They love to graze in the large meadows at Cataloochee. 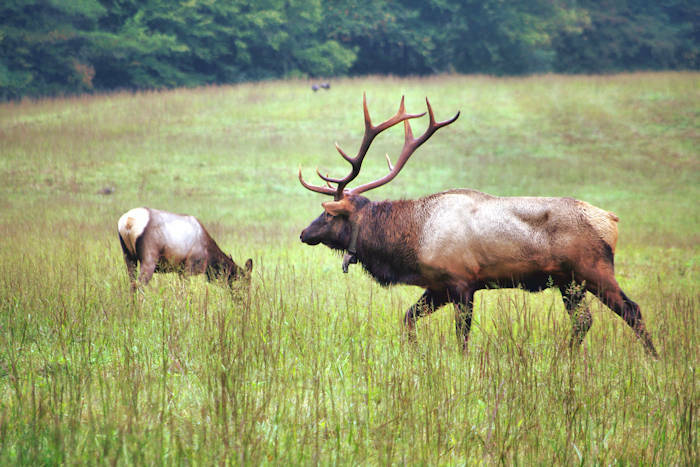 In recent years, some elk have migrated to other areas - including Cherokee (read more). Elk once roamed the southern Appalachian Mountains and elsewhere in the eastern United States. They were eliminated from the region by over-hunting and loss of habitat. The last elk in North Carolina was believed to have been killed in the late 1700s. While the best times to view elk are usually early morning and late evening, elk may also be active on cloudy summer days and before or after storms. Enjoy elk at a distance, using binoculars or a spotting scope for close-up views. Approaching wildlife too closely causes them to expend crucial energy unnecessarily and can result in real harm. If you approach an animal so closely that it stops feeding, changes direction of travel, or otherwise alters its behavior, you are too close! For more things to do in the park, see our Great Smoky Mountains Guide. 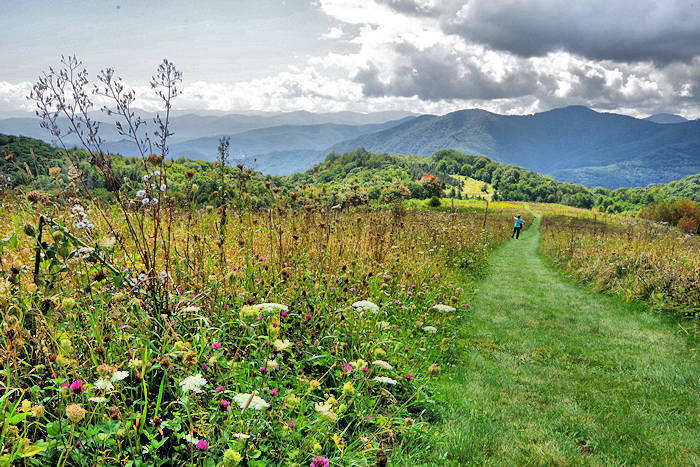 There are several hiking trails in Cataloochee Valley. 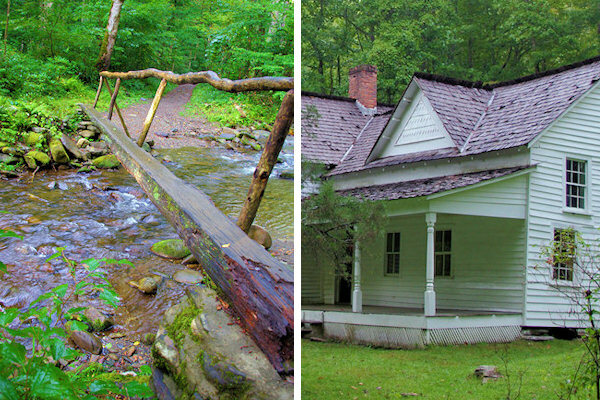 For a quick hike, walk the Rough Fork Trail along the cascading stream, crossing log foot bridges as you walk to the Woody House. 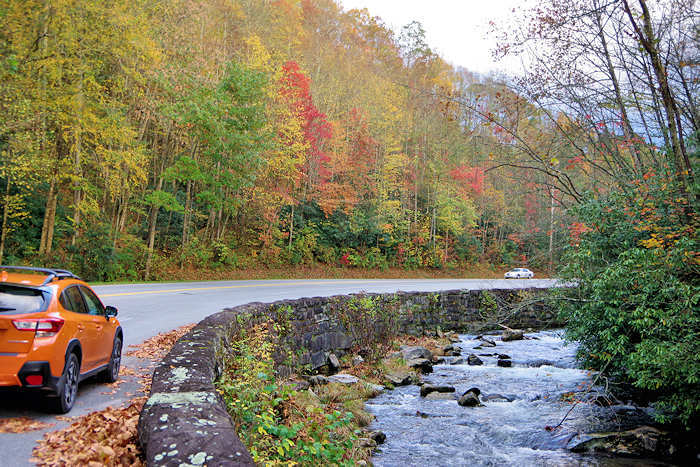 This is an easy two-mile round-trip that starts at the very end of the road in Cataloochee. The trail continues another 5.5 miles to Polls Gap, so you can extend your hike. 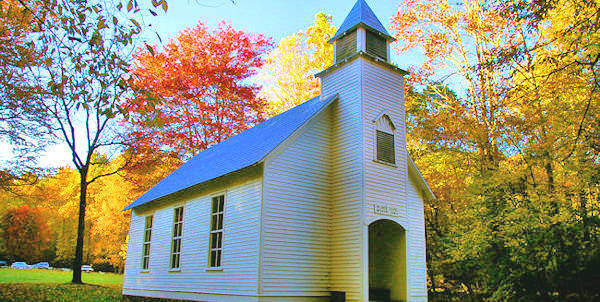 Little Cataloochee Trail: For a six-mile hike (one-way) past more historic buildings, including the Little Cataloochee Baptist Church, start at the group campsite near the Beech Grove School. Hike 8/10-mile on the Pretty Hollow Gap to Little Cataloochee Trail (to the right). It's moderately strenuous with plenty of uphill sections. The church is about 4 miles away. The other end of the Little Cataloochee Trail ends at Old Cataloochee Turnpike (so you could leave a car there for a one-way hike). Check at the ranger's office for details when you arrive for best advice for the day you are visiting. A primitive campground with 27 sites, is open mid-March through October for tents or RVs up to 31 ft. Reservations are required for all campsites. Reserve online at www.recreation.gov or toll-free at 1-877-444-6777. Walk-ins are not accepted. Don't rely on GPS. About 45 miles from downtown, allow 1.5 hours to travel. Take I-40 West from Asheville to Exit 20 onto 276. Follow 276 for 1/4-mile, and turn right onto Cove Creek Road (NC-284). Travel 5.8 miles on this narrow, steep, winding, mostly gravel road to the entrance of the Great Smoky Mountain National Park. Go slow and be careful! Continue another 1.7 miles to a paved road and turn left. Follow road another 3.5 miles until you see several old buildings and a meadow on each side of the road. Do not enter fields to view elk—remain by the roadside and use binoculars, telephoto lens, or a spotting scope to view. It is also illegal to remove elk antlers or other elk parts from the park. Never feed elk or bait them in for closer observation. During September and early October, male elk make their legendary bugling calls during the "rut" to challenge other bulls and attract cows, using their antlers to intimidate and spar with other males. During September and October, fields in Cataloochee are closed to all use, but you can watch the elk from along the road. Elk are big and can be dangerous. Willfully approaching within 50 yards (150 ft.), or any distance that disturbs or displaces elk, is illegal in the park. Violation of this federal regulation can result in fines and arrest. Winter: Elk wear a two-layer coat during the colder months. Long guard hairs on the top repel water and a soft, woolly underfur keeps them warm. Elk may move from the high country to valleys to feed. Spring: Most elk shed their antlers in March. The antlers, which are rich in calcium, are quickly eaten by rodents and other animals. Summer: Most calves are born in early June. Male elk roll in mud wallows to keep cool and avoid insect pests. Fall: The elk's fall breeding season is known as the rut (begins mid-September). Even if the elk are not present, people are not allowed to walk into the fields. During the rut, male elk make bugling calls to challenge other bulls and attract cows. Dominant bulls use the fields to gather and breed with harems of up to 20 cows. Bull elk actively defend their territory by charging and sparring with competitors using their antlers to intimidate and spar with other males. Encroaching too close may lead a bull to perceive you or your vehicle as a threat causing them to charge. 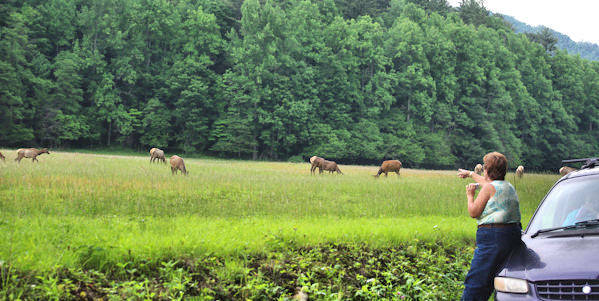 You can also usually see elk in the open field by the Oconaluftee Visitor Center near Cherokee. 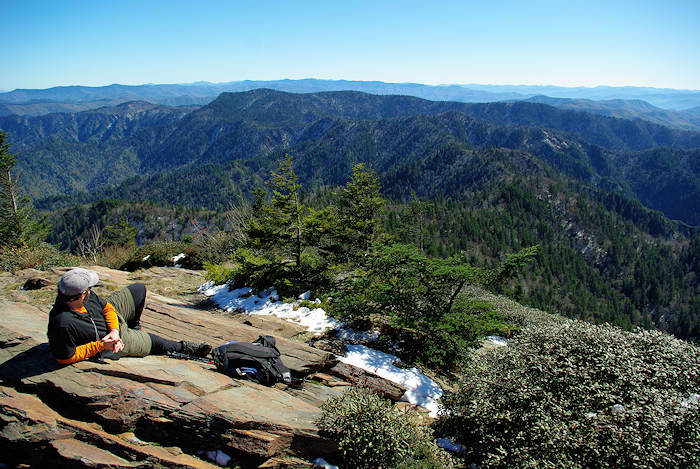 For more hikes, see our Smokies Hiking Guide. Also, see our guide to a hike to nearby Mt. Sterling.